Chatrapati Rajaram Bhosale was the youngest son of Shivaji. He was born in 1661 at Fort Raigad. When his elder (half) brother, Sambhaji, was executed by the Mughal emperor Aurangzeb, Rajaram was under house arrest (on the orders of his brother, after his mother Soyrabai had tried an unsuccessful coup attempt against Sambhaji). However, after Sambhaji's execution, the Marathas felt the need for unifying their ranks against the Mughals. After the coronation of her infant son Shahuji as the next king, Sambhaji's widow Yesubai ordered the immediate release of Rajaram. 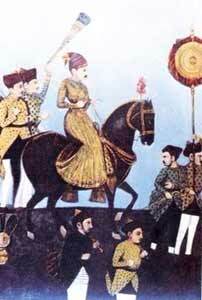 She also magnanimously requested that Rajaram be made regent. 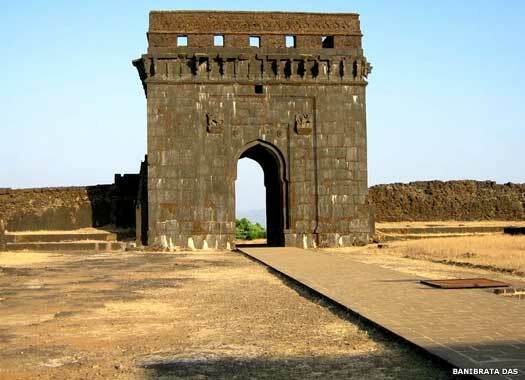 In 1689, a traitor by the name of Suryaji Pisal, who was the killedar of Fort Raigad, surrendered the fort (along with Queen Yesubai and the infant king Shahu) to the Mughals. Rajaram was then at Fort Vishalgadh. With both the queen mother and the young king being taken away as captives by the Mughals, the Maratha ministers (such as Ramchandrapant Bavdekar, Prahlad Niraji, Khando Ballal Chitnis, Hanmante, etc) felt the need for an immediate succession in order to fill the leadership vacuum. Rajaram was soon declared the next king in 1681. Rajaram has been described as a person with a congenial demeanour, someone who was flexible in his approach and accommodating towards one and all. He wasn't a warrior in the real sense like his predecessors, but was able to evoke the loyalty of his men. Rajaram was married to Jankibai, the daughter of Prataprao Gujar. His second wife was Tarabai, the daughter of Hambirao Mohite, and thirdly he married Rajabai, from the family of Ghatges of Kagal. Rajaram's resistance to the Mughals was carried forward by his two commanders, Santaji Ghorpade and Dhanaji Jadhav. On one occasion in 1689, Santaji even conducted a daring raid into the Mughal camp at Tulapur, where Aurangzeb himself was staying. Aurangzeb managed to escape with his life. September 1689: the Mughal commander, Sheikh Nizam, was routed by Santaji Dhanaji at Fort Panhala. 25 May 1690: Sarzakhan, also known as Rustamkhan, was defeated and captured by Ramchandrapant, Santaji, and Dhanaji at Satara. 1692: Rajgad (led by Shankar Narayan Gandekar), Panhala (led by Parshuram Trimbak) was recaptured by the Marathas. 8 October 1692: Dharwad in Karnataka was captured by Santaji Dhanaji. 14 December 1692: Santaji defeated Alimardan Khan and took him captive to Jinji. 9 January 1693: Santaji defeats and captures Ismailkhan Makha, Janisaar Khan for ransom. 5 January 1693: the Mughal camp at Desur was looted by Santaji Dhanaji. 21 November 1693: Santaji defeats Himmat Khan. 1693: Sidhoji Gujar, the sarkhel (naval admiral), captured the naval forts of Suvarnadurg and Vijaydurg . 1693: Vishalgad was retaken by Parshuram Trimbak. July 1695: Santaji traps the Mughal army at Khatav. 20 November 1695: Qasim Khan is killed by Santaji at Doderi. 1699: Parsoji Bhosale of Nagpur, Haibatrao Nimbalkar, Nemaji Shinde, and Atole, along with Rajaram, overwhelmed the Mughal force at Godavari Valley. Dhanaji Jadhav defeated a Mughal contingent at Pandharpur. Shankar Narayan cleared another contingent led by one Sarzekhan near Pune. 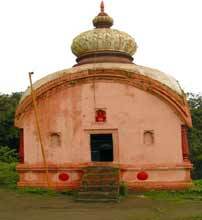 After Sidhoji Gujar, the mantle of sarkhel was passed on to the famous Kanhoji Angre. Following were Rajaram's ministers: Nilo Pant Pingale (son of Moropant Pingale) the Peshwa or finance minister, Janardhan Hanmante (son of Raghunath Hanmante ex-governor Jinji) the Amatya or finance minister, Ramchandra Bavdekar, the viceroy of Maharashtra, Shankar Malhar Nargundkar was the Pant Sachiv or accountant general, Shamji Pinde was the Mantri or home minister, Shrikaracharya Kalgavkar was the Panditrao or chief priest, Mahadji Gadadhar was the Sumant or foreign minister, Niraji Ravji was Sarnyayadhish or chief justice, Santaji Ghorpade (later Dhanaji Jadhav) was the Sarsenapati or army commander in chief, Parsoji Bhoosale became governor of Berar, Nemaji Shinde the governor of Khandesh, and finally Khanderao Dabhade, the governor of Nasik. Aurangzeb was determined to crush the Maratha resistance. To achieve this, he had himself encamped in the Deccan with a huge force. 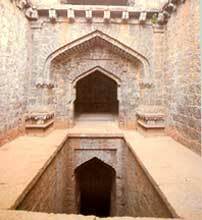 Due to continuous Mughal onslaughts, Rajaram escaped in 1689, to Jinji in Tamil Nadu (a fort captured early by Shivaji). From there he continued with the Maratha struggle until the fall of Jinji in 1698. Rajaram managed to escape the clutches of the Mughals led by Zulfikar Khan. But his life was cut short because of illness in 1700. He died at Fort Sinhagadh, near Pune. Rajaram left behind two sons and one daughter, Shivaji by Tarabai, Sambhaji by Rajasabai, and the daughter, Soyrabai, by Jankibai. His youngest wife, Ambikabai, whose only daughter had died, became a Sati. There was also said to be an illegitimate son, Raja Karna (from a mistress named Sagunabai). 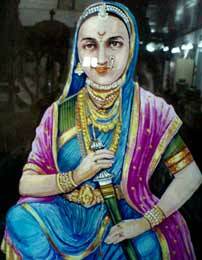 Rajaram's feisty wife Tarabai took over the reins of the Maratha army and continued the resistance against Aurangzeb, until the release of Shahu (the son of Sambhaji and Rajaram's nephew) from Mughal prison. What followed was a brief power struggle for Maratha leadership between Tarabai and Shahu, which was eventually won by Shahu. Shahu was declared king with Satara as his capital.